(16 April 2019) Monash University and Emory University have announced a partnership to conduct research into gender-responsive design of water and sanitation services for the world’s most vulnerable and marginalised living in urban informal settlements. (31 March 2019) On Sunday 31 March, more than 180 women and men, and girls and boys came together in Makassar to celebrate the completion of baseline sampling. (8 August 2018) On 8 August, RISE Indonesia joined a number of government, NGO and community stakeholders for a Makassar Smart City Forum, held by the Makassar City Government with the United Nations International Organisation for Migration (IOM). The forum was held to increase cross-sector participation and cooperation in creating a smart, healthy city. (20 July 2018) This month, Professor Tony Wong (RISE/ CRCWSC), Kerrie Burge (RISE/ CRCWSC), Jane Wardani (RISE), Mere Naulumatua (ADB), Andi Hadijah Iriani (Makassar City Planning and Development Board), and Professor Rob Skinner (Monash Water Sensitive Cities) headed to Singapore International Water Week (SIWW). As part of the program, the RISE team hosted a half-day Hot Issues Workshop titled Strengthening Delivery of WaSH to Urban Informal Settlements in the Asia-Pacific.  (9 June 2018) On Saturday 9 June, RISE Fiji hosted a workshop for Community Engagement Council (CEC) representatives from the 13 RISE settlements across Suva, Fiji. Bringing the CECs together for the first time is a key milestone in the RISE Community Mobilisation Strategy. (4 May 2018) Last week, the RISE Makassar Lab Team undertook Kato Katz training in the Parasitologi Laboratory at Hasanuddin University (UNHAS), led by RISE UNHAS Focal Point, Professor Ancha Ansariadi and Asni, Laboran of Parasitologi Laboratory in the UNHAS Faculty of Medicine. (3 May 2018) During April, RISE Objective 4 (Well-being) Leader, Professor David Johnston and RISE researchers, Dr Joanne O’Toole, Dr Fiona Barker, Dr Rohan Sweeney and Karinna Saxby conducted human health and well-being lab and field training, and baseline survey piloting with the RISE team in Suva. (29 March 2018) This month, RISE partner, Melbourne Water delivered essential Integrated Water Management (IWM) training to the RISE team, local partners and government counterparts in Suva, Fiji. (22 March 2018) On World Water Day, RISE hosted a workshop for community representatives – Kelompok Pengelola Lingkungan (KePoLink) – from the 13 RISE settlements across Makassar, Indonesia. (20 March 2018) Monash has signed partnership agreements with three of the Asia Pacific’s most highly regarded universities - Hasanuddin University (UNHAS) in Indonesia; and, Fiji National University (FNU) and The University of the South Pacific (USP) in Fiji - for RISE. (26 February 2018) Monash has just signed a five-year research collaboration agreement with world-leading centre in genomic discovery and understanding, the Wellcome Sanger Institute for RISE. (27 November 2017) MSDI is thrilled to announce its official partnership with the United Nations University – International Institute for Global Health (UNU-IIGH) as part of the RISE program. (20 November 2017) RISE Research Fellow, Dr Michaela Prescott explains how the RISE co-design workshop involved a range of participatory tools developed and adapted for different groups within the community, such as children. (4 October 2017) A team from Monash Art Design and Architecture (MADA), led by Professor Diego Ramirez-Lovering, has just returned from Suva, Fiji after implementing the first RISE co-design workshop.